Posted in: 1 Pageant Pages, 2 Shout-out-Looks. Tagged: Bb. 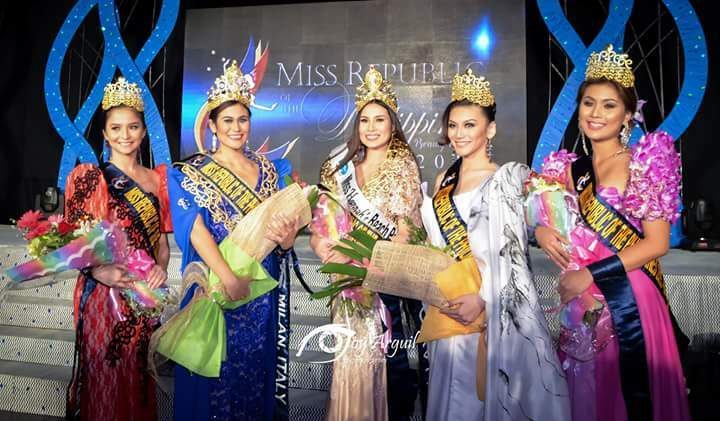 Pilipinas 2017, Christie Rose Cequeña, Miss Republic of the Philippines 2015. It didn’t surprise me anymore that Christie Rose “Istie” Cequeña is keen on joining the screening for Bb. Pilipinas 2017. I know this girl has big dreams of winning a national beauty title all her own. Well, she came close to actually doing that during her first attempt in a nationwide (including overseas Filipino communities) pageant when she was named Miss Mindanao during the resurrection of Miss Republic of the Philippines last 2015. What pleasantly set me aback with Istie is how more beautiful she looks nowadays. Something really changed for the better, and the photos in this feature show that very clearly. This ever-smiling charmer from Sta. Rosa, Laguna – who stands 5’9″ – is making sure that her preparations for the scheduled screening/s this month are all in place. She wants to make her presence felt at the BPCI Office inside Araneta Coliseum without a doubt. Facially and physically malaki ang potential ng girl na itey. If she has the eloquence level like Shamcey, Megan, and Janine T. she’ll be a crown contender for sure. The ever-smiling adjective might work against her. You mean, ever smiling even when alone? Lol. How donyou rate yourself thomas? What really is a good answer? The incoming candidates should learn a lesson from Maxine’s Journey to MU2016. bong, it’s almost the same question kay Venus that even Diane Sawyer commented how difficult to answer. Malaga lang LUCK matters. I just watched it now… the translation I guess was erroneous. Change is not pangyayari. Based on the question’s translation Maxine’s answer actually made sense if she meant that the most significant event she witnessed in the past 10 years is an event such as Miss Universe. Yes, the translation is partly incorrect(change to event) but the most important thing is you have to listen and understand the question carefully before you open your mouth. Kung gagamit ka ng tagalog translator dapat tagalog din ang sagot otherwise you are cheating the judges and the audience by using the translation time to think of your answer kasi nakakaintindi ka naman pala at nakakapagsalita ng english. Kung gagamitin mo ang english sa pagsagot , huwag mo ng pagsalitain yung translator dahil bihasa ka naman pala sa english. Kaya ka nga gumamit ng translator kasi mas comfortable kang sumagot sa tagalog at mahina ka sa english. The translation is just a strategy. Out of the 4 Latina in 2005, they all use a translator but still answered in English. Hahaha. Kinurot nya taba ni Colombia ba un, katawa.